Co-operation and conflict between Britain and Europe as reflected in Winchester Cathedral. 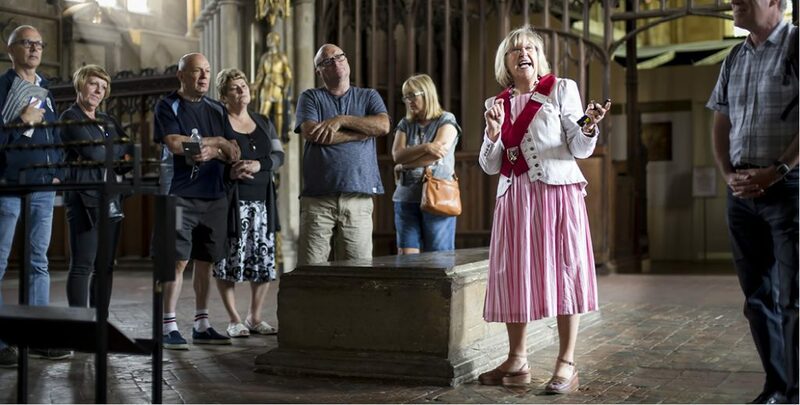 During this tour we will review how England and Britain’s fluctuating relationships with Europe during the last 1000 years has brought benefits to art and architecture in Winchester Cathedral and is reflected in the lives of Saints, Bishops, Royalty and citizens connected with the Cathedral. Conflicts such as the 100 years’ War, the Hard Brexit of the Reformation, and wars in the 19th and 20th centuries have all left their mark on the Cathedral. Closer ties with Europe and the rest of the world have brought happier relationships in modern times, but for how long?